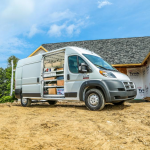 From blog sites like this one to third-party independent auto journals, resources abound these days for people in search of the right pickup truck, chassis cab or cargo van for work. Thanks to the Internet in particular, up-to-date information regarding current model year or forthcoming vehicles is never more than a mouse click or YouTube video away. 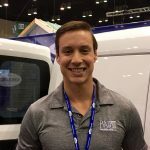 Of all available resources, we feel one kind is especially helpful – the owner testimonial. While branded websites like fcausfleet.com might offer more feature-specific information, and third-party product reviews might be more in-depth, there is great value to buyers in hearing the honest opinions of hardworking people who live day in and day out with these vehicles. 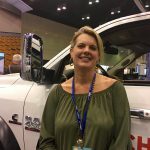 With that in mind, please enjoy the fourth installment of Ram Trucks for Real Business, NAHB Mid-Year Meetings Edition. Like Part 1, Part 2 and Part 3, the videos below were filmed on location in Washington, D.C., in the summer of 2017. 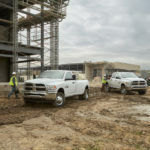 Description: General Contractor Marshall Hickox loves the versatility of his Ram truck, which is, he says, as much at home in the city as it is on the jobsite. 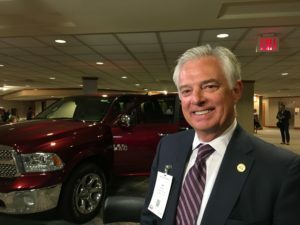 Description: Longtime Ram Truck owner Michael Means “can’t speak highly enough” of his Ram 1500 OR the vehicle incentive members of NAHB and other associations can use toward the purchase or lease of select vehicles from FCA US LLC. 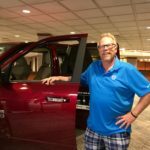 Are you in the market for a new pickup truck, chassis cab or cargo van? The vehicle experts at your local BusinessLink dealership are another valuable resource. Contact them today with any questions you have!